The World Cup match between Belgium and Algeria. Photo courtesy of Len Henderson-Maclennan. With the World Cup in full swing, tourists from around the world have traveled to Brazil to cheer on their country’s national soccer team. With stadiums dispersed across thousands of miles, many of these international visitors are using rental cars. Of the 32 countries represented, the U.S. took the top spot for car rental bookings in Brazil with an 829% increase from a year ago, according to an “Early Travel Indicators for World Cup 2014” list by CarTrawler, an online global car rental platform. Through the first week in April, Germany took second place for bookings with a 1,140% increase in car rental bookings year over year. Rounding out the top five, England, Colombia and Uruguay took third, fourth and fifth for the most reservations, according to CarTrawler. From June 12 to July 13, World Cup fans should help produce a 10% to 15% increase in rentals for Localiza Rent A Car SA, the largest car rental company in Brazil, according to a March report by Moody’s Investors Service. Location will likely play a large role in the number of rentals. Paul Nemer, president of the National Council of Brazilian Association of Vehicle Rental Companies (ABLA), told Blog das Locadoras — a blog by EuroIT Technology, a Brazilian-based car rental software company — that an increase of up to 15% in rentals should only occur in World Cup host cities, including Sao Paulo, Rio de Janiero and Salvador. 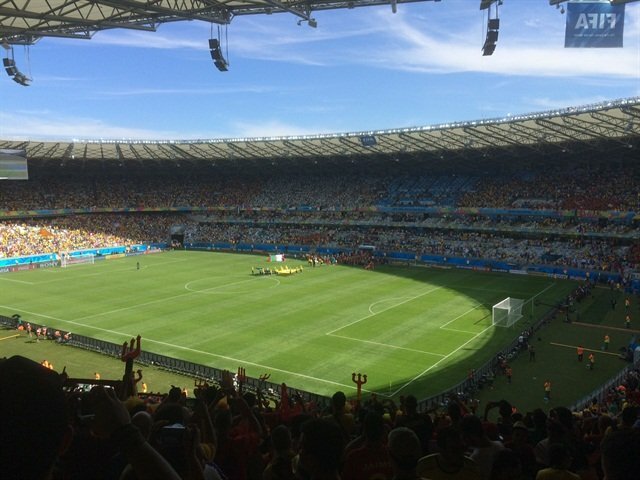 To find out how the Brazilian rental car industry prepared for World Cup travelers, Auto Rental News talked to four car rental operators as of May 30 to learn more about their reservation process, the types of rental vehicles offered and how the World Cup could affect their business. One rental company started taking reservations as far as a year in advance. Hugo Costa, CEO of Foco Rent a Car, said that most of his company’s bookings have come from Europe — a majority from Italy, Spain and Germany. 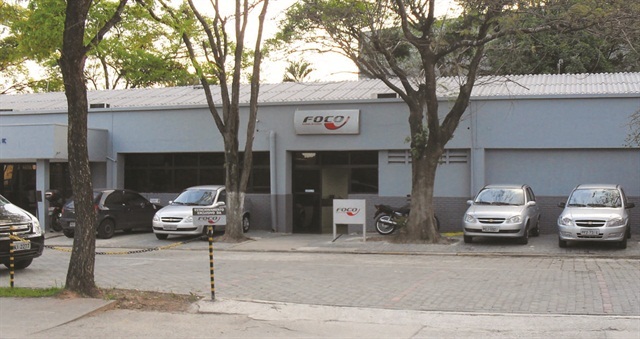 Foco’s 2,500-vehicle fleet serves 12 cities in 14 locations, including Sao Paulo, Natal, Salvador and Porto Alegre. “The biggest challenge was increasing our fleet,” said Costa. “We have never seen such big numbers of reservations in advance.” Costa said that the company was virtually sold out for the World Cup from the beginning of the year and added fleet in Brazil’s second trimester to meet demand. Nonetheless, Costa reported that business leading up to the World Cup has been uneven, with a 30% improvement in April, followed by an unexpected lull in May. Costa reasoned that a spike in plane ticket prices and decreasing business travel were causes. The majority of BR WAY's 30-unit fleet is serving domestic customers and South American countries such as Argentina, Paraguay, Uruguay, Bolivia and Venezuela. 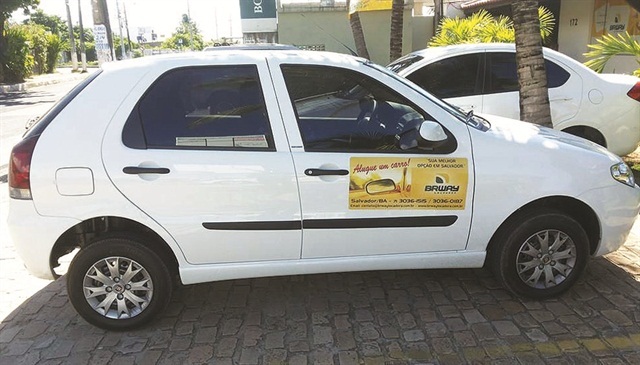 Sao Paulo-based >Alug Rent A Car — specializing in armored vehicles — received its first rental reservation for the Cup in February. According to co-owner Raphael Takaoka, Alug still had a few vehicles available to rent from its 72-car fleet, with the U.S., England and United Arab Emirates as the top countries reserving vehicles. “Some of our reservations are for transfers to/from the stadiums, including an English-speaking driver,” said Takaoka. Takaoka expected a 30% increase in total business due to the World Cup. BR WAY Locadora of Salvador operates a smaller fleet with 30 vehicles. With 30% of its fleet still available on May 30, the majority of bookings had been made by customers closer to home — Brazil and other countries in the Mercosur (Argentina, Paraguay, Uruguay, Bolivia and Venezuela), according to Lucy Peterson, BR WAY’s commercial director. Infinit Rent a Car, which operates in Salgado Filho Airport of Porto Alegre, a city in the south of Brazil, offers a 261-vehicle fleet with everything from basic to luxury. In regards to an increase in business, “Our expectations were far larger,” said owner Fabiano Saldanha, adding that demand is greater in larger host cities such as Sao Paulo and Rio de Janeiro. To get ready for World Cup visitors, Alug added two vehicles — an armored minivan and an armored SUV — that are usually in high demand among travelers, according to Takaoka. Starting in late 2013, Infinit hired six new, bilingual employees (English and Spanish), sent proposals to foreign car rental companies, advertised on other websites and bought new uniforms for its employees. All four rental companies made sure to have at least one English translator on staff. For Foco, that means there is at least one English speaker at each of its locations. “It has been difficult for us here in Brazil to hire people who speak English fluently; however, we are prepared and excited to service all these customers,” said Costa. Depending on location, some rental companies raised their rates for the World Cup. Alug increased rental rates by 10% and Foco was able to raise rates, as well. On the other hand, Infinit had to keep its rental rates the same to compete online with other rental companies. Similar to Foco, Infinit’s reservations experienced a dip in May. BR WAY also maintained current prices while others raised their rates, said Peterson. In the case of no-shows, BR WAY is charging customers a full daily rate. Alug enforces the same policy for those that cancel less than 24 hours in advance, according to Takaoka. For Foco, 50% of its World Cup reservations were prepaid — the full rental amount was paid by credit card ahead of time. Foco Rent a Car's 2,500-vehicle fleet serves 12 cities in 14 locations, including Sao Paulo, Natal, Salvador and Porto Alegre. With an increase in foreign tourists, Brazilian rental car companies instituted greater security controls. BR WAY installed GPS tracking devices in each of its vehicles, while offering GPS navigation units to renters free of charge. “We have satellite car trackers in all our cars in order to guarantee safety and immediate location online for any emergency situations,” said Peterson. Infinit is also providing free navigation units to foreign customers, as well as full insurance — collision damage waiver and supplemental liability — said Saldanha. While smaller rental companies had prepared for gaining World Cup business, large multinational rental companies haven’t made it easy to compete. According to Julian Gritsch, executive director of EuroIT, only large rental companies like Avis, Hertz, Unidas and Localiza were seeing a great increase from online reservations — through global distribution systems, international websites and other agencies. With exceptions, the small- to medium-sized car rental companies received a much smaller share of incremental business and didn’t invest in more fleet vehicles or infrastructure, according to Gritsch.